Jobs Still Available! Apply Now! The Job Connection has been helping El Paso to reach their dreams since 2000. Although the job market has changed a lot throughout the years, our team has remained loyal to those in search of a fulfilling career. The Job Connection is a locally owned and operated job agency that is 100 percent devoted to helping prospective employees and companies thrive in El Paso. How do we achieve this? It’s rather simple, actually. Throughout our years, we have crafted a seamless system that works wonderfully to set the best candidates up with the best companies. It’s truly never been easier to get connected! Let’s face it: finding a job is tough. Unlike most tough things, though, having a job is a necessity. Without a job, you won’t be able to pay bills, live comfortably, or take care of your family. 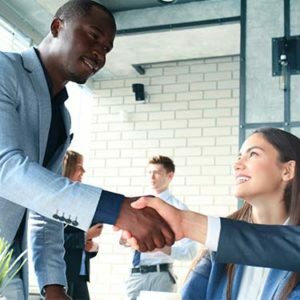 If you’re in need of a great job, whether it’s a temporary position or a more professional placement, the Job Connection can help. When employers put up a job posting, they may feel as if they’ve just thrown a message in a bottle into the ocean. Perhaps they’ll get a response, but the odds are slim that the candidate who responds is exactly who the employer is looking for. Here is where The Job Connection comes in to help. Simply let us know what you’re looking for in a potential hire and we’ll do the hard work on your behalf. Before long, you’ll have a new employee in your workforce! So now’s the time for your interview. Whether this is your first or fiftieth interview, one thing remains true: you can never be too prepared! Job interviews may be nerve wracking, but if you’re well prepared and ready for anything, you’ll have nothing to worry about. Prepare by writing down answers to common job interview questions. Arrive to the interview 10 to 15 minutes early and dress to impress. These two details are great for first impressions. Just remember, using a job agency doesn’t necessarily guarantee you’ll get hired. We can’t go with you to the interview, so it’s important for you to be as prepared as possible for your interview. We wish you good luck. And don’t forget, dress to impress! The Job Connection has been helping El Pasoans reach their dreams since 2000. Although the job market has changed a lot throughout the years, our team has remained loyal to those in search of a fulfilling career. The Job Connection is a locally owned and operated job agency that is 100 percent devoted to helping prospective employees and companies thrive in El Paso. How do we achieve this? It’s rather simple, actually. Throughout our years, we have crafted a seamless system that works wonderfully to set the best candidates up with the best companies. It’s truly never been easier to get connected! 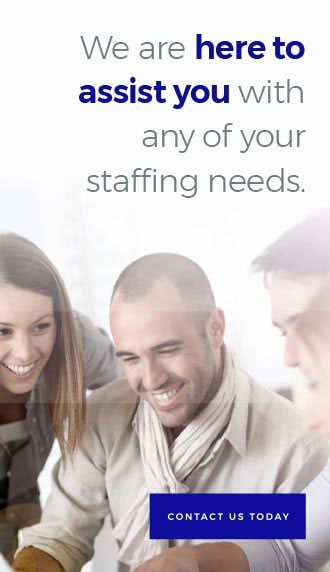 We are here to assist you with any of your stafﬁng needs.